Speed Dreaming, a collection of twelve short stories, was published by Little a in March 2015 and was long-listed for the Frank O'Connor International Short Story Award. You can order it from your favorite bookstore, or here. The collection's first story, "The Living," was translated into Dutch. Read it here. 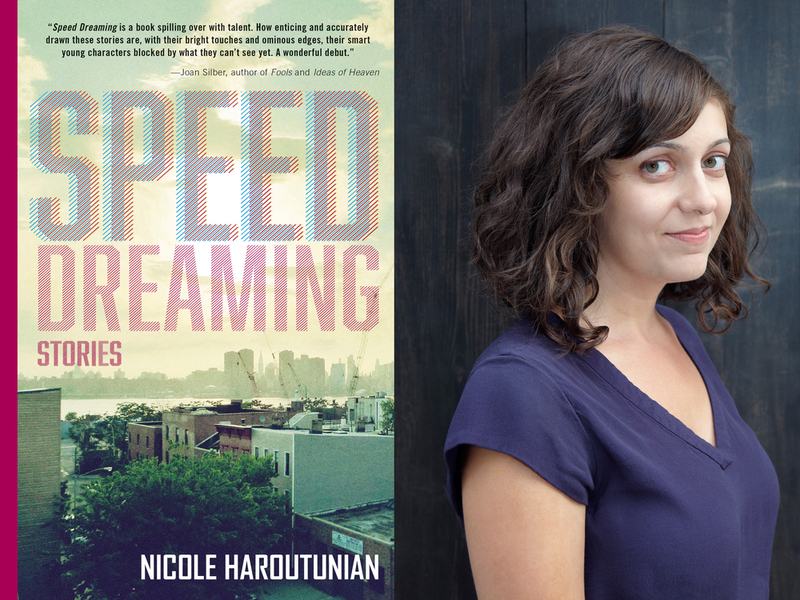 Nicole Haroutunian's short fiction has appeared in the Literarian, Day One, Vol. 1 Brooklyn, Two Serious Ladies, and online at Tin House, among other publications. Her story, "Youse," won the Center for Fiction's 2013 Short Story Contest. She is co-editor of the digital arts journal Underwater New York and works as a museum educator. Nicole holds a BA from Vassar College, an MFA from Sarah Lawrence College, and lives in Woodside, Queens, with her husband, Dan Selzer.